Shama Hongqiao Shanghai, situated within the Greater Hongqiao Area in Shanghai, is now welcoming guests. 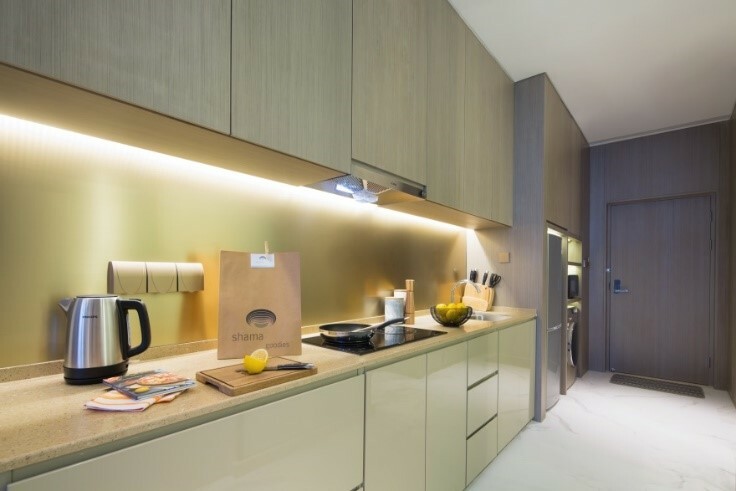 Shama Hongqiao offers 132 stylishly appointed apartments, ranging from studios to two-bedroom layouts and catering to all residents, from singles to families. All units come with a high ceilings, providing an impression of spaciousness. In addition, each apartment is fitted with a customized Shama Slumber bed with an extra soft feather top, ample storage space, a washer and dryer, LED TV with international channels, Wi-Fi and a work desk. All residence units also feature a fully equipped kitchenette, and some come with private balconies. Other facilities within Shama Hongqiao include the Shama Wired business center, the fully-equipped Shama Gym, the Shama Kids with edutainment equipment and a breakfast area – all designed with guests’ relaxation in mind. 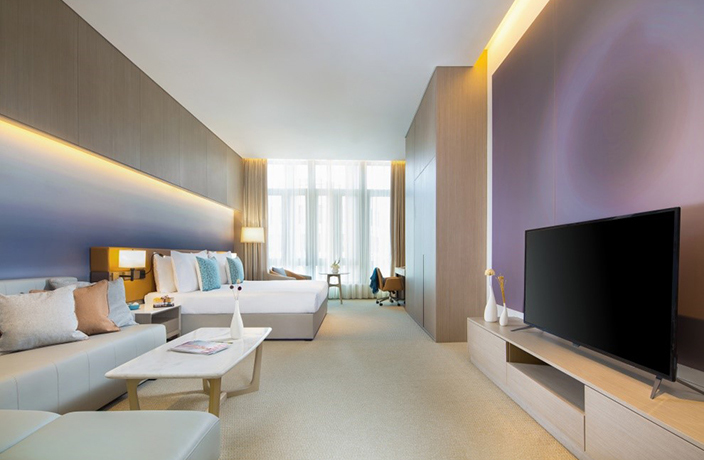 Shama Hongqiao Shanghai builds on the successful partnership between ONYX Hospitality Group and Sincere Holdings Group. This new Shama serviced apartments property will reinforce ONYX’s presence in one of China’s key cities, which is also home to a large proportion of the country’s working expats. Ideally located in the booming Hongqiao Business District and right next door to the headquarters of Sincere Holdings Group, Shama Hongqiao is just minutes away from the National Convention & Exhibition Centre, Hongqiao International Airport and Hongqiao Railway Station, holding a prime location within the city’s newest economic zone that is dedicated to business, trade, convention and the service industry. In celebration of its soft opening, Shama Hongqiao is offering a special rate starting from RMB580 per night. This offer is valid for stays on or before December 31. For more information or to make a reservation please visit www.shama.com/hongqiao-shanghai. And no, the e-commerce giant is probably not looking to diversify the hospitality industry. The charitable event raised a total of RMB726,770 to support IHG True Hospitality for Good Fund. The Kung Fu Komedy podcast is back! This week they discuss Shenzhen Marathon cheaters​, Shanghai's underground hotel and more. Thirty-three awards were given out over 10 categories, with over 100 hotels honored. The big day has arrived: tonight is our second annual That’s 2018 Hospitality Awards in Guangzhou! Over 220 people from across China are expected to visit Guangzhou for the event, which will be held on August 30, 2018. InterContinental launches a nautical-themed buffet in collaboration with Star Cruises. We are likely to see the hotel in all its splendor by the end of 2018...or not.